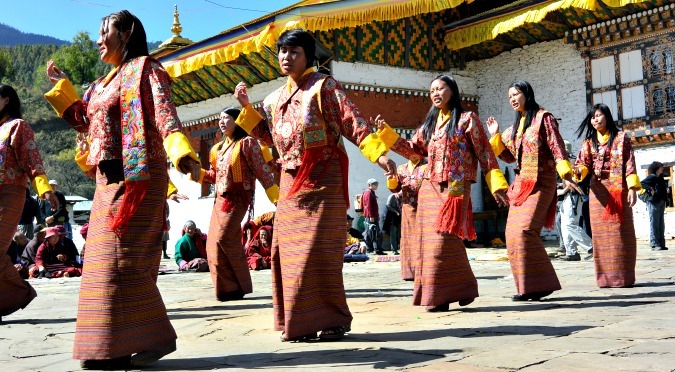 One of the most spectacular and unique festivals in Bhutan, It is celebrated by the community of Bumthang valley at Jambay Lhakhang. 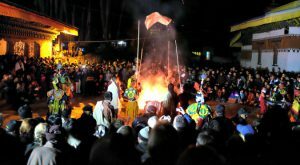 Many devotees from all over the country gather to witness the sacred event and to receive blessings. 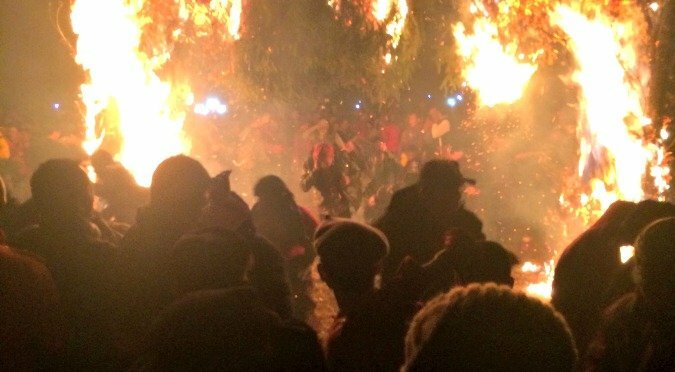 The special ritual performed is the fire ritual that is held in the evening where crowds gather to witness the ritual together with the naked dance. 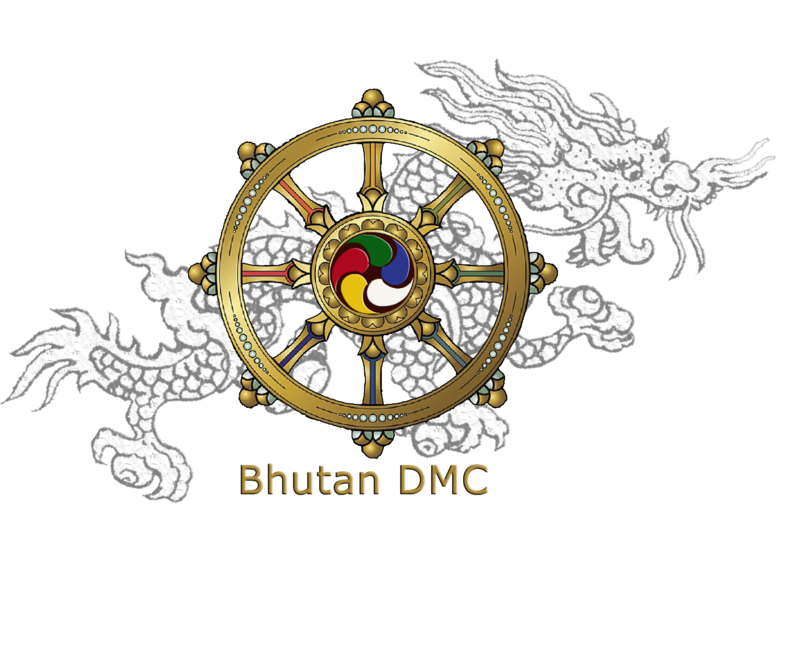 On arrival our representative will meet you at Paro airport exit doors drive to Thimphu, the capital city of Bhutan. If time permits visit Memorial Chorten and Tashi Chadzong, the fortress of the glorious religion. Whole day sightseeing in Thimphu, visit to Buddha point, 12th century Changangkha Temple and the Zilukha Nunnery, Takin Zoo, the national animal of Bhutan and Indigenous hospital. Drive over the Dochu-La pass (3,100 meters), catch incredible view of Himalayan peaks before descending into Punakha valley. On arrival, visit to Chimi Lhakhang, the temple of fertility and Punakha Dzong, the Palace of Great Happiness. Drive from Punakha to Bumthang via Trongsa (8 hrs) Over the Pele La pass (3,420m) on the Black Mountain range. Enroute visit beautiful Chendebji Chorten, Trongsa Dzong, and Ta Dzong museum. Also en-route to visit Yathra weaving center in Zurney at Chumey, Bumthang. In the evening or at midnight you can attend Jambay Lhakhang drup open ceremony. 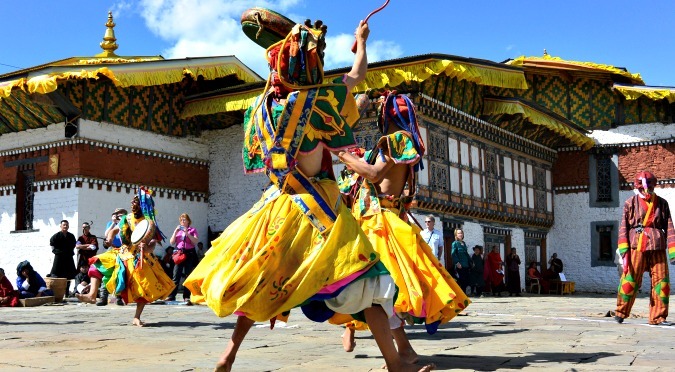 Today you can explore Bumthang valley, visit Kurjey Lhakhang, Jakar Dzong and Tamshing Lhakhang. 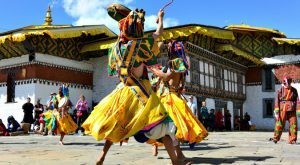 Afterwards enjoy exploring the village of Jakar, Bumthang’s main township or you can visit festival ground on your own interest. Today enjoy an excursion to Tang Valley, the most remote valley in the Bumthang district and try or experience horse riding while visiting Ugyen Chholing Palace. Later visit to 14th century Tang Rimochen Lhakhang, Mebar Tsho (Burning Lake). After breakfast drive to Gangtey via Trongsa. After arrival you can visit to Black Necked Crane center and Gangtey Monastery. 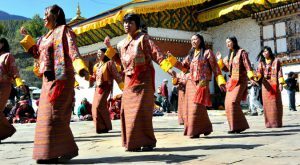 Drive back to Thimphu via Wangdi and Punakha where you will enjoy lunch at Thimphu and you can visit handicraft and souvenir stores. Afterwards proceed to Paro, visiting Semtokha Dzong en route. On arrival in Paro, check into the hotel. After breakfast hike to Taktsang Monastery, Tiger nest monastery a quintessential Bhutan travel experience. 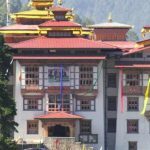 In the afternoon visit the ruins of the 17th Century Drukgyel Dzong, the 7th Century Kyichu Lhakhang and Dungtse Lhakhang.